Our Radical Heights guide contains everything we currently know about CliffyB's new Battle Royale game, and will be updated with tips and strategy advice at launch. 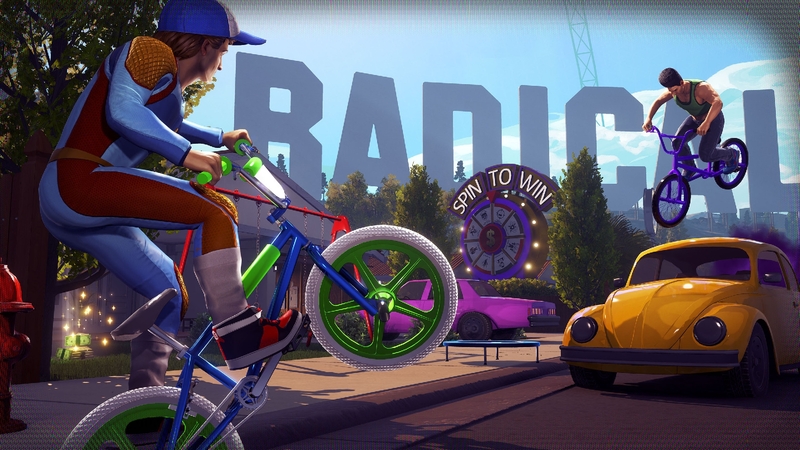 The next game from Cliff Belszinski's Boss Key Productions has entered the Battle Royale fold and it's called Radical Heights. 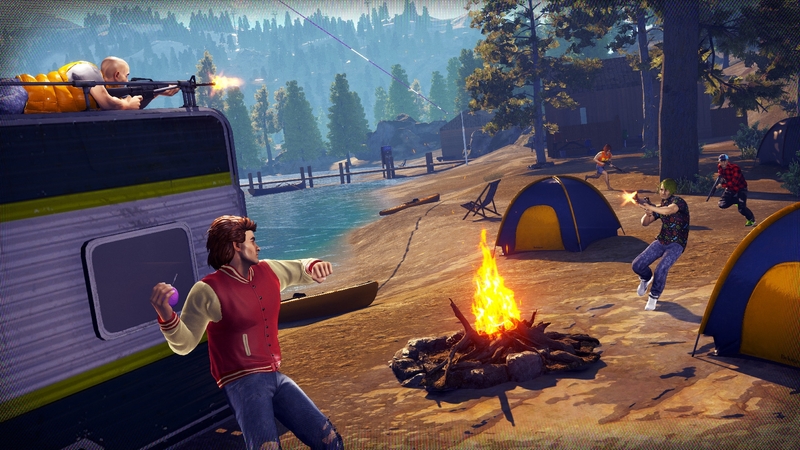 In the simplest of terms, it's very much a traditional Battle Royale experience, but offers its own unique 80's spin on things. Not only does it nail the synth music, dodgy hairstyles and splashes of neon, there's are some mechanics here which have real potential in further refining the Battle Royale genre. The game takes place in a futuristic reality TV setting, one which sees contestants entering an enclosed area to do battle with each other, and until only one man's left standing. Think the Truman Show but with more guns and bike, as well as a messier set to clear up afterwards. Less Jim Carrey though so it's not all bad news. In our Radical Heights guide, we've got an overview of everything that's currently known about the game. Once we've had a chance to play with it ourselves, we'll add in all the usual tips and strategy advice you'd expect from a Metabomb guide. If you're interested in a particular area of our coverage, use the following links to dive straight in. Come back to the top if you want to quickly navigate to another area of interest. 1. Trailer - The first trailer revealed for the Early Access version of Radical Heights. 2. Gameplay - Every scrap of information we have about the gameplay of Radical Heights. 3. Screenshots - All the official artwork that's been released for the game so far. 4. Release Date - Release details for Radical Heights. 5. Platforms - The currently confirmed platforms for the game. 6. Cash - How to earn, spend and save cash in Radical Heights. 7. Settings - How to fix the green screen error and boost performance. 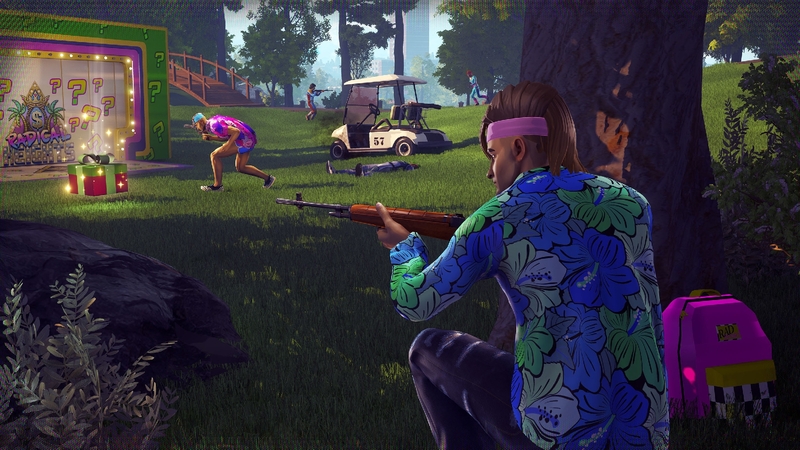 Radical Heights is a 100 player Battle Royale. The victor is the last man standing. Like both PUBG and Fortnite before it, you'll plummet from the skies at the start of the game. The map is split into a grid format, in contrast to PUBG and Fortnite's series of concentric circles. Over time grids turn into danger zones, and eventually players are essentially funneled into one another. When it's a 1 vs 1 situation, a circular location is highlighted on the map, the lights dim and it becomes an extreme fight to the death. Money can be looted by blowing up cash tills. There is at least a duo mode in the game, but it remains to be seen whether or not larger squads will be supported too. Guns will be available from Top Gunz vending machines. Spend your looted money here to buy weapons. There are lots and lots of bikes. It appears that you can also do stunts with them as well! Two players can also ride on the same bike. One can fire while the other steers. Environments include a golf course, game arcades and retail outlets. When players are killed, they drop their weapons, armour items and whatever money they happen to be carrying at the time. You can bank money to keep it safe, and withdraw via ATMs when you want to. You can breach doors by kicking them in. You can roll sideways and forwards. Some kind of supply drop system appears to be in place, with gifts falling from the sky which players can then fight over. It's not clear whether all supply drops work in this fashion, but the contents of some are randomly generated. Weapons include the usual host of assault rifles, pistols, SMGs, shotguns and rocket launchers. You can also aim-down-sights exists in the game for extra accuracy too. There are also remote explosives and we imagine far more weapons will be added to the game in the future! You can use trampolines to reach extra heights and surprise your enemies from above! As far as we're aware, there isn't any fall damage in the game. Ziplines exist to help you traverse from higher points on the maps to lower ones. The Early Access version of the game will be released on Steam on Tuesday April 10th. That's tomorrow at the time of publishing this article! So far, Radical Heights has only been confirmed for PC. If a version for consoles is announced, we'll update this section of our guide with all the latest information. 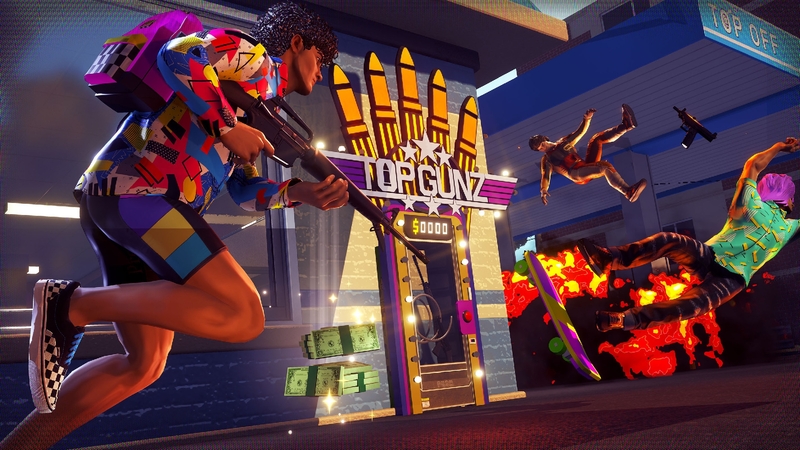 Cash is king in Radical Heights and you'll need to collect it, save it and spend it wisely in order to purchase items and emerge victorious. We've put together a guide on how to earn, spend and save cash in game so you can start topping up that bank balance and start splashing money on powerful gear. As the game's in "X-Treme Early Access" it's pretty janky in its current state. This means you'll experience some serious stuttering, hitching and general performance issues if you don't tinker with some of the graphics settings - especially if you've not got a high end rig. With a little bit of tinkering in the game's options, you can squeeze out some stable FPS and also fix the frustrating green screen error that's been cropping up lately. Best settings guide (Boost FPS and Green Screen Error Fix) - We'll show you how to configure your graphics settings to gain a huge boost to your FPS as well as iron out any bugs that might be affecting the game. 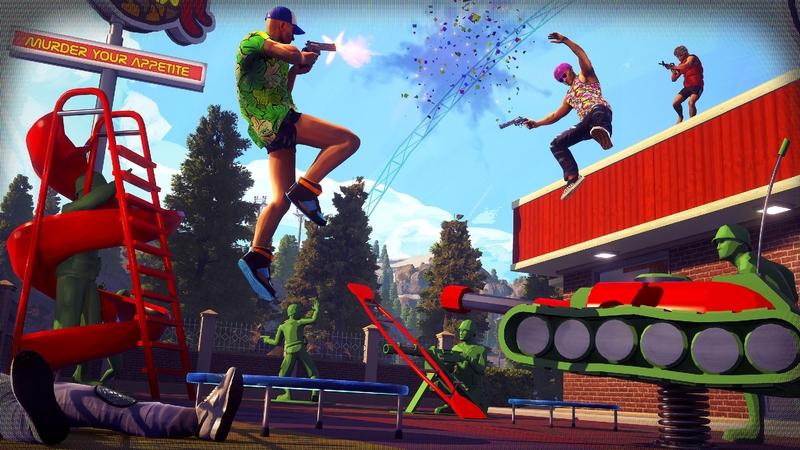 System Requirements (PC) - We've listed both the minimum and recommended PC system requirements so you can figure out if your system can run Radical Heights. That's the end of the first edition of our Radical Heights guide. As we learn more about the game we'll add the detail in here. We'll also have an assortment of tips, tricks and strategy advice for you as soon as we've had a chance to mess around with the game for ourselves.